"Life is a party, Dress like it!" Happy First Day of Summer, and more importantly.... HAPPY NATIONAL WEAR YOUR LILLY DAY 2017! (Caps lock 100% necessary.) All lovers of pink, green and a colorful lifestyle come together on summer's beginning each year to celebrate wearing their favorite brand. I somehow missed out on celebrating this day on my blog last year, but I did celebrate back in 2015. 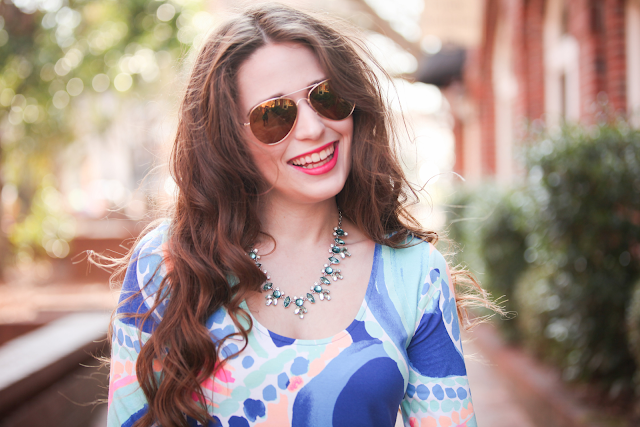 Today's post is also special for more than just National Wear Your Lilly Day! These are the very last photos from my time working in Charlotte with Deeana of Deeana Kourtney photography. Deeana was my first official outside team member for SBIT, and she brought so many of my creative visions to life over the past year. We had so much fun working together, and not only was she a great photographer, but she also became one of my best friends. Really though- we have talked almost everyday since I moved to Vermont! I know this certainly wasn't the *last* time we will shoot together, but it was the last time for me as a Charlotte resident, and I'm definitely feeling a little sentimental! Some of my favorite summer Lilly picks are below! Love that you're celebrating NWYLD on the blog! I sadly won't be participating because all I've got on my schedule for the day is working in my flower beds and maybe cutting the grass (not Lilly-clothing appropriate!) but I'll be breaking out all the Lilly this weekend to make up for it! I had no idea that National Wesr Your Lilly Day was a thing! I really like the cut of this dress! The sleeves too! 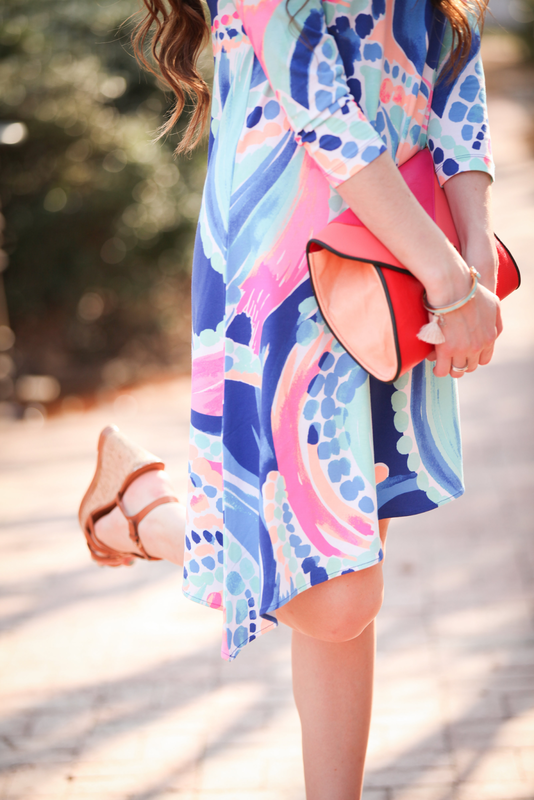 I am usually not a Lilly fan (I don't like bright colors), but I LOVE this dress. The pattern is too fun! First time to hear about National Wear Your Lilly Day. But that dress is gorgeous! Should've known you'd post about Lilly today! You look absolutely lovely in that dress! 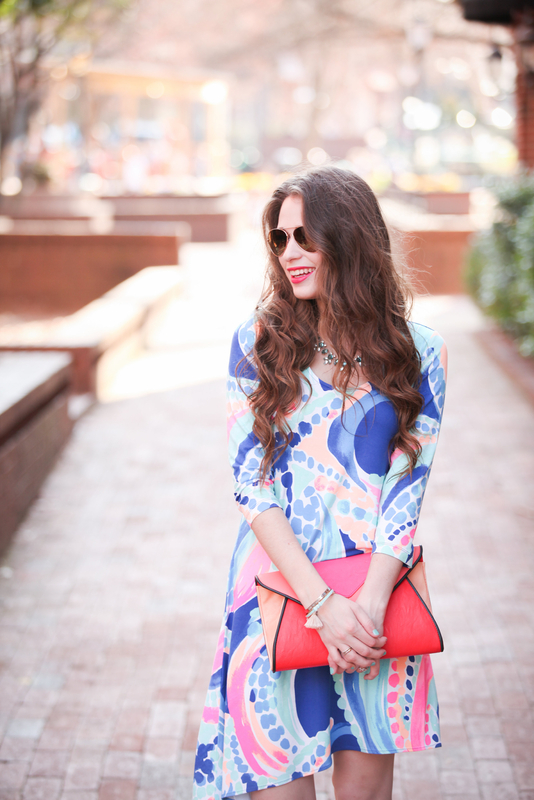 Love your Lily dress! So cool that they have a NWYLD! This dress is so pretty! Ahh, I totally missed wearing my Lilly yesterday- although I don't think my shorts, as cute as they are, would be totally work appropriate. This dress on the other hand... NEED! Lilly just screams summer to me! Love this print. 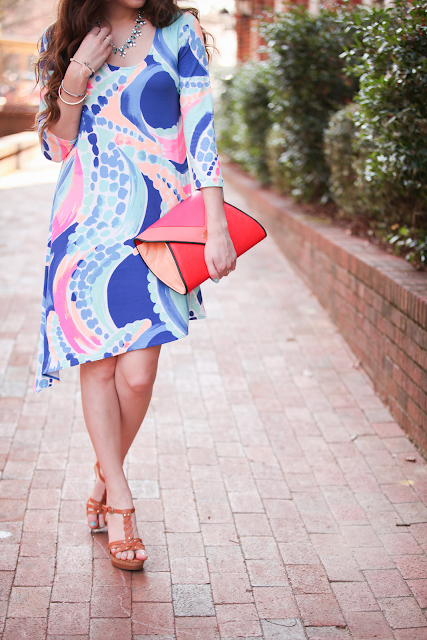 This dress is gorgeous and perfect for the first day of summer! I love this print! You look so cute! Love this dress! YES! 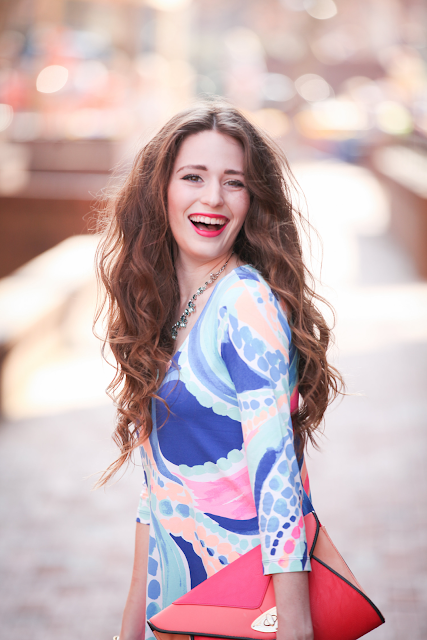 I love me some Lily and you look amazing in that print! What a cute dress! You're rocking that Lilly print.